Nation Safe Drivers (NSD) celebrated its 50th Anniversary in 2012. 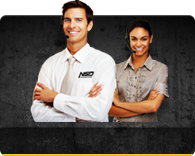 Since 1962 NSD has been a leader in providing innovative products and services to the Automotive and Insurance industry. Its marquis product, 24-hour Dispatched Roadside Assistance has been heralded to have one of the most technologically advanced and intuitive software platforms in the world. Once a sleeping giant NSD has been propelled onto the world stage and has experienced unprecedented growth. 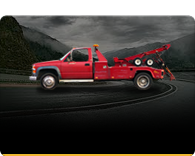 In addition to Roadside Assistance, NSD provides "niche" products for all types of industry. Our products are designed to fill gaps and enhance traditional product offerings. During the recent economic downturn, NSD's product and service diversification allowed us to remain profitable to our clients. The industries using our products and services are forecasting much growth and NSD is well positioned to support them. 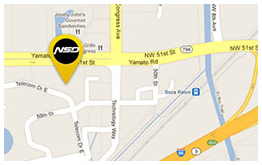 Our corporate headquarters is located in pristine Boca Raton, Florida and housed in a 50,000 ft2 facility. The NSD campus is immaculately manicured and offers a park like picturesque backdrop for employees to enjoy their break and lunch times, contains a basketball court, is conveniently located next to affordable restaurants, health club facilities and the TriRail. Currently, NSD is on track to have over 250 employees. 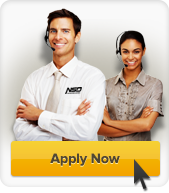 Whether you have just graduated, hold insurance licenses, have experience in insurance services, technology, finance, marketing, customer service, or willing to embark on a new career path, NSD has something for you. Imagine going to work each day in a business where your contribution has an impact on the company's value. Where your performance and contribution has a measurable and defined benefit for you and your family! Join NSD and own that future! Once you have met your enrollment qualifications you will be eligible to join our Employee Stock Option Plan (ESOP). This allows you to earn shares in our company at NO COST to you every year that you qualify! ESOPs are known to be invaluable in helping to build wealth for their employees over time. To be successful at NSD you must have an ownership mentality and be willing to make a difference. If you are looking to build a future with a company that will reward your loyalty, performance and contribution then NSD is for you. NSD also offers a comprehensive benefits package including healthcare, dental, vision, short and long term disability and a 401k Retirement plan. Excellence drives us ...come take the ride!